Terrifying apparitions, possessed cats and earthbound spirits. Apports, physical phenomena and murder. The characters in Richard Matheson’s 1971 novel Hell House experience all this and a shed-load more as they investigate ‘the Mount Everest of haunted houses’, the sinister Belasco House in Maine. The central character of Matheson’s story, made into the 1973 film The Legend of Hell House in which Roddy McDowall gives a superb performance as the tortured medium Fischer, is Dr. Lionel Barrett, a serious, no-nonsense physicist who is determined to use his stay in the Belasco mansion to prove his pet theory that science can explain away the spirits. As with all good spooky tales such as this, Barrett finds out that the ghosts really do have the upper hand and the good Doctor meets with a suitably gruesome end. The adventures of Matheson’s fictional ghost-busters have obvious similarities with the true-life goings-on nearly thirty five years earlier on the other side of the Atlantic in the lonely Essex hamlet of Borley, but whereas Dr. Barrett and his party were only given a week to prove the existence of ghosts and the possibility of survival after death, Harry Price’s rota of observers had a whole year in which to carry out their investigations and thankfully, none were given as hard a time as Matheson deals out to his characters. Readers of this essay will know that Harry Price took a rather back seat role in the Rectory investigations after he had secured its tenancy in 1937 and for twelve months let his corp of selected volunteers visit Borley instead. The man who has become known as Price’s chief observer during this period was of course Sidney Herbert Glanville. It was Glanville who was the first person to respond to Price’s advertisement in The Times and who treated the task in hand with great seriousness. Amongst other things he prepared architectural drawings of the building, took many photographs, investigated the Borley legends, spent a great many weekends at the Rectory and diligently assimilated his reports and findings into the famous ‘Locked Book’ which Harry Price then used as a basis for his own published works. All this we know and as such in most articles and commentaries on the Price tenancy at Borley and after, this is the level of comment that the role of Mr. Glanville receives, with various additional remarks thrown in as required, such as to how Price treacherously omitted to involve him in his excavations in the Rectory cellars when the bones of the alleged Nun were found, or how, when a sick man, he was bullied into handing over the ‘Locked Book’ to Trevor Hall who subsequently sold it to a buyer in America for a tidy sum. Now at Hell House, Dr. Barrett and his party all have their reasons for staying in the gloomy mansion house whose ghastly reputation puts Borley Rectory (and any other haunted house that you can think of) firmly in the shade. On a personal level there is Barrett himself with his theories and equipment, intent on clearing the Belasco House of its spooks and assorted nasties; his wife Edith’s devotion to her husband together with her pathological loathing of being parted from him keeps her by his side; there is Miss Tanner, with her desire to free the tormented soul of the son of the evil Emeric Belasco, the builder of the terrible place, from eternal torment and guide him on to better things; and finally Roddy Mcdowall’s Ben Fischer, the lone survivor of a previous investigation which ended in disaster, back to beat the ghosts once and for all. As well as all this, there is also the matter of the money, three hundred thousand dollars to be precise, split between them, put up by a dying media tycoon desperate to know if anything waits for him on the other side. But for Harry Price’s team there was no such monetary incentive. His hand-picked squad of ghost hunters received no salary and were expected to pay there own way, Price’s selection process weeding out all those applicants who expected to get some reward for their trouble (1), and as Price was definitely not after anyone with any background or interest whatsoever in psychical research, it is certain that the list of forty-eight people selected was unlikely to include the hysterical mediums and fanatical scientists that Richard Matheson allowed inside his haunted house. So why should a man like Sidney Glanville, an apparently well-respected man in his mid-fifties, enrol for such a job as Price advertised and embrace all that it involved – the weekend car journeys up to the lonely Essex rectory, séances in narrow kitchen passages often in darkness, and those night-time vigils watching for the ghostly nun in Henry Bull’s summer house. What prompted him to take this task on and where did all this enthusiasm for psychical research and amateur ghost-hunting come from? These are some of the questions that I have found myself asking for some time. I have been interested in Borley for many years and in the Price tenancy of 1937-38 in particular. As I shall explain later, I have a particular affinity with Sidney Glanville and find his role and work at Borley is of ever increasing interest. Glanville must have had good reasons for answering Harry Price’s advertisement and for applying himself in the way he did. Harry Price stated controversially in his first Borley book that one of the principle criteria he set for members of his rota of observers was that they should have little or no interest in psychical research (2). This, he said, would enable him to put together a group of people who were completely unbiased and any evidence they provided would be of more value as it was collected without prejudice. He was far more concerned with the calibre of his investigators, recruiting educated, intelligent people rather than a group of mediums and spiritualists, whose qualities would bring the correct amount of respect and seriousness to his work and his writings. It is well known that the authors of the 1956 critique of Borley and Price’s involvement in it made much of this fact, commenting that in this way Price was able to use the inexperience of his observers to his advantage, and by supplying them with a potted history of the Rectory hauntings in the form of his Blue Book of Instructions, used the power of suggestion to make them report exactly what he wanted (3). Without a doubt, Sidney Glanville was an ideal candidate. In fact, he was probably the best person that Price could have wished to have on board. A consulting engineer by profession, described as having distinguished himself during the course of his career by Trevor Hall (4), who also paid tribute to his artistic talents, Glanville took the subject of the observation of the Rectory with great seriousness and from the outset had a formulated methodical approach. This is apparent from the fact that he used his initial visit to Borley to prepare floor plans of the building which would enable the many rooms in the rambling building to be identified and any occurrences accurately plotted and recorded. Although he lived in Streatham in South London, Glanville had a country cottage at Fittleworth in West Sussex, making him a close neighbour with Price at his home in Pulborough which was an obvious advantage as their close proximity enabled them to meet to discuss the investigation during the time that Price held the Rectory tenancy. 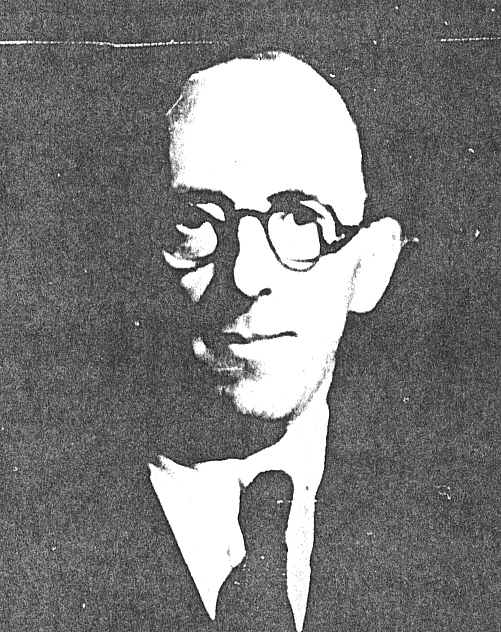 Trevor Hall, who stated in more than one published work that he was on good friendly terms with Glanville, was at pains to point out that it was indeed he (Hall) who had the paragraphs inserted into the Conclusions chapter of his collaborated report with Dr. Dingwall and Mrs. Goldney which exonerated Glanville from any skulduggery and falsification of evidence during the course of his involvement with Borley and put the blame fairly and squarely on Harry Price for the fiasco that the whole affair really was (5). I will not comment further at present about Hall’s relationship with Sidney Glanville, other than to say that it is a controversial subject in itself, involving the ownership and rights to Glanville’s assimilated data to the case which has been mentioned earlier. With the principle assistance of his son Roger, Glanville spent many hours at Borley during Price’s tenancy observing the building and its grounds at the prescribed times. He looked into the background of the alleged haunting including the local legends concerning the existence of a former monastery on the Rectory site (which he ultimately proved to be false), interviewed Harry Bull’s sisters and engaged in correspondence with former rectors Lionel Foyster and Guy Smith, the latter and his wife whom he personally interviewed and accompanied on at least one trip out to the Rectory. Glanville’s notebook recorded all his findings and he was in constant communication with Harry Price for the duration of the observation period. One of the most significant results of Sidney Glanville and his family’s interest and involvement in Borley is the séance material which was obtained at sittings carried out on the Rectory premises and remotely at Glanville’s house in South London. This has been the subject of many commentaries and theories and as with all things connected with Borley, has been the focus of opposing views and opinions as to its value by the various Borley authors, with views ranging from serious and scholarly to satirical and derogatory. Information of this type concerning the happenings at the Rectory had of course been obtained at Borley before at the notorious Blue Room séance on the occasion of Price’s first visit with Mr. Wall in 1929. But it was a combination of planchette and table-tipping carried out by Glanville’s daughter Helen (later Mrs. Carter), Roger and Sidney himself in the company of others that produced some of the most memorable additions to the story of the haunting – the supposed identity of the murdered nun Marie Lairre, the circumstances of the death of the maid Katie Boreham and the sinister Sunex Amures contact with its double message of the prophetic destruction of the building and the revelation of the buried bones. Robert Wood describes the Glanville’s as ‘amateur spiritualists’, presumably solely in connection with their work at Borley (6). How involved Sidney Glanville was with spiritualism before his association with Harry Price, at present I do not know for sure. In his own essay, which was included by Paul Tabori in the symposium about Price by his friends in Harry Price – The Biography of a Ghost Hunter, Glanville states ‘For many years before this meeting [i.e. with Price] I had been an interested observer of the supernormal, and the purpose of my visit was to ask his advice on a matter connected with apparent psychic phenomena’ (7). An entry in the ‘Locked Book’ states that the planchette board had been bought ‘some years previously’ with a view to it being used for experimentation. After initial unsuccessful attempts the board had been packed away and was only brought out of storage once Glanville had begun to visit the Rectory in 1937. From the casual way that Glanville talks about the decision to use the planchette at Borley and the fact that he was taken on by Price in the first place suggests that the Glanville family weren’t connected with any organisation before their involvement with the observation period, although it would be interesting to know the background for their purchasing the board in the first place. Sidney Glanville’s hands-on involvement with the investigation began to wind down once Price’s tenancy came to an end in May 1938. After the Rectory was destroyed, undoubtedly at the hands of Gregson the new owner at the end of February the following year, there was little that could be done in the ruins in the way of realistic and controlled observation (8). As the 1930s, one of the most eventful periods in the entire seventy-six year life-span of Borley Rectory drew to a close, and with Europe erupting into war, the next phase of the Borley story began to evolve. Glanville brought together the results of his year long involvement as an official observer and presented Price with his observations in the form of a private and confidential report. It was not until Harry Price had the document bound and fitted with a Brahma lock that it became known by its more familiar and mysterious title of the ‘Locked Book’. During the war years Roger Glanville served his country as a Squadron-Leader in the RAF, but at present I am unable to say what war work his father was involved in. Harry Price’s first Borley book The Most Haunted House in England appeared in 1940, and in 1946 the publication of its sequel The End of Borley Rectory ensured that Borley had been well and truly put on the map (9). In between the writings on Borley, Price completed his autobiography Search for Truth which was published in 1942. Without consulting Price’s Borley records preserved in the Library of the University of London, it is difficult to say for certain to what degree of further involvement Sidney Glanville had with Borley, although in the Preface to The End of Borley Rectory, Price refers to the Glanville family as having consistently helped him over an eight year period i.e. from May 1937 to April 1946 when the book was first published (10). Harry Price continued to work on Borley and was in the process of putting material together for a third book when he died of a heart attack at his home in Pulborough on 29th March 1948 at the age of sixty-seven. Price’s third Borley book was in some ways a departure from the format of its predecessors in that it was to be a collection of writings on the Rectory hauntings by others involved with or commentating on the case. Among those contributing material were Canon W.J. Pythian-Adams, whose examination and analysis of the wall writings had formed a chapter of The End of Borley Rectory. Whether Price asked Glanville to contribute a paper at this time is not entirely clear at present. Glanville was obviously still interested in Borley, over ten years after his first contact with Price, so much so that after Price’s death he, together with Peter Underwood and a lady by the name of Mrs. C.C. Baines (11) took on the task of preparing the book for publication. A date for this has been given as 1951 but ultimately the project came to nothing (12). Glanville wrote an account of his involvement with the case which was to be included in this third instalment of the Rectory drama. However, what was published in the October 1951 issue of Fate magazine was a lengthy article by Sidney Glanville which amounted to a potted history of the Rectory hauntings, together with comments about his involvement in the observation period of fourteen years previously. The article’s introduction cites Glanville as being the most qualified person (evidently following Price’s death) to write about the haunting, but at present I am unclear about the circumstances which resulted in Glanville writing for what was an American periodical. The illustrator of the article applied licence liberally, transforming the Rectory into something more akin to the Bates Motel or even Matheson’s Hell House and giving the Borley nun a grinning death’s head. Whether Glanville’s contribution to the third posthumous Price Borley volume has survived is unclear, but it could be that the 1951 Fate article is a condensation or uses material extracted from it (13). The evidence for writers recycling their work is proved by Trevor Hall’s re-use of the same material in at least three publications by him on the Borley Rectory case (14). It would also be interesting to know the present whereabouts of an un-dated painting of the front of the Rectory which was used as the jacket cover illustration for the 1956 critical report which has been mentioned previously. The publication of Glanville’s Fate article in the autumn of 1951 coincided with the first involvement of Trevor Hall in the Borley story and the beginning of his five year collaboration with Eric J. Dingwall and Kathleen M. Goldney to re-examine the whole case, under the auspices of the Society for Psychical Research. Hall wrote four of the eight chapters of The Haunting of Borley Rectory and although he did not actually work on the section of the report which discussed the events of the Price tenancy, he obviously sought out and made contact with Sidney Glanville as someone well ‘qualified’ to comment on the case. The two men met several times at Glanville’s home in Fittleworth and Hall makes much of their friendship in several of his published essays, commenting on how they were able to discuss the Borley case with great frankness. Glanville was at this time in his late sixties, presumably retired from his engineering profession and apparently not in the best of health. Whether the issue of Glanville’s health was one of the factors which affected the publication of the third Price book on Borley I am not sure, although Glanville’s dedication to Hall, written into the ‘Locked Book’, alludes to the fact that a restatement of the Rectory haunting was beyond him. As mentioned previously, Glanville ultimately presented Hall with the report, apparently after the two men had had a lengthy meeting at Fittleworth. Various commentators have expressed doubt as to whether Hall was entitled to claim ownership of the ‘Locked Book’ given the circumstances in which it came into his possession (15), and although Hall wrote in several of his Borley essays about Glanville’s presentation of the volume to him, he failed to mention the fact that he sold it to a buyer in the USA for £1000 and did his reputation no favours by the whole business. Six months after Hall received the ‘Locked Book’, Glanville died of a heart condition in December 1953. So, after sixteen years of involvement with ‘the most haunted house in England’, what were Sidney H. Glanville’s views on the case? The answer to this question will depend on which particular published work on Borley you consult, as the various writers invariably use Glanville as support for their particular views on the haunting and leverage for the overall purpose of their writings. Price obviously needed Glanville’s professional reputation to add authority to his accounts of the Rectory investigation, including him in several entries in the Analysis of Phenomena appendix of The Most Haunted House in England (16). By 1956, the trio of authors of the Borley report, although conceding that Glanville had had experiences which were difficult to explain away normally, made much of the way Price had edited Glanville’s reports and brought up the accusation of treachery concerning Price’s omission to invite him along to participate in the cellar excavations. Trevor Hall concentrates on Glanville’s apparent sceptical views on the Borley haunt in the years following the publication of The End of Borley Rectory and Price’s death. Indeed he goes as far as to say that Glanville admitted to him that he (Glanville) had been unable to finish Price’s second book, deplored Price’s lax approach to the co-ordination of observer’s activity during his tenancy and placed no value whatsoever in the material collected at the various séances he took part in (17). Robert Hastings, in his all-out attempt to restore Price’s somewhat tarnished reputation devotes a chapter to the subject of the accusations against Price concerning the excavations in the Rectory cellars and the treachery allegations against Sidney Glanville. Here he points out that Sidney and Roger Glanville did actually visit the Rectory a few days after the bones had been discovered, carried out a days digging themselves and drew up the cellar plans which Price used in The End of Borley Rectory (18). In their 1973 collaboration The Ghosts of Borley, a work generally supportive of Price and his work, Peter Underwood and Paul Tabori again defend Price against the seriousness of the deceit over the affair of the 1943 dig and draw attention to the fact that apparently once the tenancy period was over, Glanville had little to do with Borley after lending his notes on the case to Price. Robert Wood, whose highly critical book The Widow of Borley uses material gathered by Trevor Hall which remained unpublished at the time of Hall’s death, describes Glanville as ‘a strange mixture of the thorough and painstaking with the absurd and credulous’, commenting that Glanville’s involvement with the case was obsessive (19). Wood totally rubbishes the entire issue of séances at Borley, and in casting aspersions against those involved in terms of their mental well-being obviously includes Sidney Glanville in his criticisms. Ivan Banks, whose book The Enigma of Borley Rectory was published three years after Wood, casts the séance material in a far different and ultimately more positive light, which by implication alters the impression of Glanville’s involvement with them. Bringing the subject bang up to date, a recent E-book article by Borley scholar Andrew Clarke views Glanville in an entirely different vein with an argument in favour of Glanville being the person who changed Harry Price’s initially sceptical views on the Rectory hauntings completely after joining the rota of observers in 1937 (20). Clarke’s essay makes much comment on Glanville’s work on recording the wall writing on the Rectory walls together with the analysis provided by Canon Pythian-Adams which Price included in The End of Borley Rectory. Despite their differing viewpoints, what all the above writers do agree on is the sincerity and conscientiousness with which Sidney Glanville carried out his work at Borley, consistently describing him as a man of absolute integrity and dedication. As mentioned previously, the authors of the critical 1956 report pointed out that their harsh criticisms of the case did not in any way include Glanville’s role in it. Indeed, for anyone to come away from the complex controversial subject matter and involved human drama with their reputation and standing intact is a tribute to the quality of their own personal characteristics and views. So, summing up Sidney Glanville at Borley, it is obvious that he was by far the most important member of Price’s group of observers throughout 1937-38. The exactitude of his profession made his approach to the investigation far more scientific and stringent than Price had been before him. Glanville had the makings of a first-class psychical researcher, only lacking a qualification in human psychology which would have helped him greatly in dealing with certain highly complex issues of the Borley case, such as the Foyster incumbency. It is one of the great tragedies of the Borley Rectory saga that Glanville did not live long enough to see the publication of the 1956 SPR report and to comment on its findings. His authoritative views and comments on several aspects of the case with which he was personally involved I feel would go a long way to putting certain imaginative and highly speculative aspects of this case to bed once and for all. As to his opinions on the harsh treatment that Harry Price received at the hands of the authors and their overall criticisms of a project in which he personally expended a huge amount of time and effort, these would also be worth knowing about. The Most Haunted House in England by Harry Price, Longmans, 1940, pp. 106-108. See The Haunting of Borley Rectory by Eric. J. Dingwall, Kathleen M. Goldney & Trevor H. Hall, Duckworth, 1956, pp. 124-127. A Note on Borley Rectory: “The Most Haunted House in England” by Trevor H. Hall, an essay published in A Skeptic’s Handbook of Parapsychology, Prometheus Books, 1985, edited by Paul Kurtz, p.331. New Light on Old Ghosts by Trevor H. Hall, Duckworth, 1965, p. xiii. The Widow of Borley by Robert Wood, Duckworth, 1992, p. 30. Harry Price – The Biography of a Ghost Hunter by Paul Tabori, Athenaeum Press, 1950, p.287. Further visits were paid to the Rectory site following the fire and the reports of the various people involved were included by Price in The End of Borley Rectory. This did not form part of the official observation period with which Sidney Glanville was involved and the building was then an uninhabitable ruin in a progressive state of dilapidation. The Ghosts of Borley – Annals of the Haunted Rectory by Peter Underwood & Paul Tabori, David & Charles, 1973 is dedicated to ‘Harry Price – the man who put Borley on the map’. The End of Borley Rectory by Harry Price, Harrap, 1946, p. 6. Mrs Baines was the first choice as executor of Harry Price’s estate, a task which she passed on to Paul Tabori. Information taken from a letter from Peter Underwood to Vincent O’Neil included in the Documents section of Mr. O’Neil’s Borley Rectory website. Harry Price – The Biography of a Ghost Hunter, p. 255. Vincent O’Neil’s website bibliography includes the following entry ‘Borley Rectory, Fittleworth, 1953 (Typescript only)’ attributed to Sidney Glanville. There are no further details but it is likely that this was Glanville’s contribution to the third Price book. Hall’s New Light on Old Ghosts, Search for Harry Price (Duckworth, 1978) & Some Notes on Borley Rectory: “The Most Haunted House in England” all use the same material in various ways. See The Enigma of Borley Rectory by Ivan Banks, Foulsham, 1996, p. 211. The Most Haunted House in England, pp. 239-242. Search for Harry Price, p. 179. An Examination of the ‘Borley Report’ by Robert J. Hastings, Proceedings S.P.R., Vol. 55, Pt. 201, March 1969, p.115. The Widow of Borley, p. 47. The Well Tank Bothers Me by Andrew Clarke, 2003, one of the Borley Rectory Sidelights, an E-book of articles on Vincent O’Neil’s Borley Rectory website.